An experienced broadcaster and writer, Nick regularly contributes to ‘Pause for Thought’ on the Chris Evans Show on Radio 2, Radio 4’s ‘Thought for the Day’, and is frequently invited to speak or write on other networks and platforms. He is a regular user of social media with a popular blog http://nickbaines.wordpress.com and a significant Twitter following. He has published six books and numerous articles and chapters. 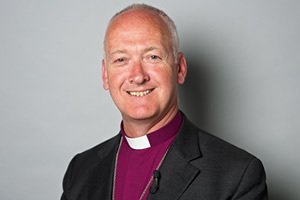 Nick is the Bishop of Leeds and a member of the House of Lords. He was previously Bishop of Bradford and the Bishop of Croydon before that. He is passionate about Christian engagement in the world outside of the church. He believes we must be curious about the world, interested in the world and committed to the world and that, to do that, we need to understand all religions better – something which is helped through quality broadcast and other means.